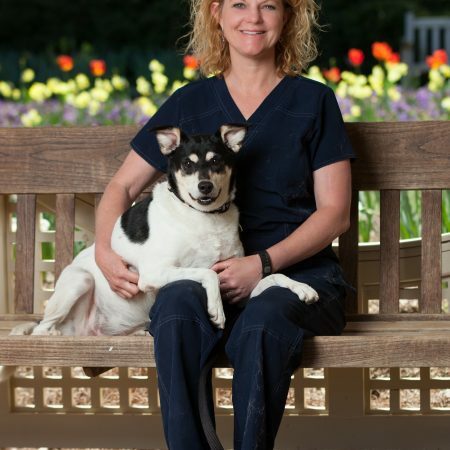 Dr. Karen Hill Sheppard is a 1992 graduate of Auburn University’s College of Veterinary Medicine. Until she accepted her current position as Director of the Huntsville Animal Services municipal shelter in the fall of 2002, Karen practiced small animal medicine and surgery. Huntsville Animal Services finally achieved a 90 percent live-release rate in 2015. The foundation of the community's success was the creation and funding of a low-income pet sterilization program in 2008, which lowered annual shelter intake from 10,000 to 5,000 animals. By adding a community cat diversion program, lowering adoption fees and being transparent, the shelter staff is now fully engaged with the community. The ongoing goal is to save every life possible. Dr. Hill Sheppard completed a year-long Maddie’s University of Wisconsin-Madison Shelter Medicine/UC Davis Koret Shelter Medicine Fellowship, which provides shelter veterinarian Fellows with additional training to help them deliver life-saving knowledge and services to our nation’s homeless pets. Currently, Karen's family consists of dogs (Rat Dog, Marmot, Bunny, and Squirrel), cats, horses and her animal-loving, tolerant husband, Fred. In her free time, she enjoys spending time with her horses, clicker training, hiking, and iPhone photography. Attendees will hear from people who have led seemingly impossible parts of the US into truly lifesaving communities.